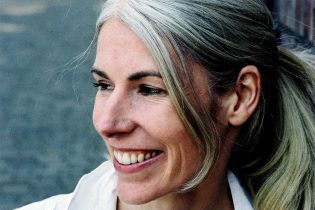 Mia Gallagher is the author of two acclaimed novels: HellFire (Penguin, 2006), awarded the Irish Tatler Literature Award 2007, and Beautiful Pictures of the Lost Homeland (New Island, 2016), long-listed for the 2016 Republic of Consciousness Award (UK). Her first short-story collection, Shift, has just been published by New Island, and is already garnering critical acclaim. Previously, her short fiction has been anthologised and published widely in Ireland and abroad, shortlisted for Hennessy (1991) and Bowen/Trevor (2011) awards and awarded the START 2005 Chapbook Award. She has received several Literature Bursaries from the Arts Council of Ireland, is a contributing editor to the Stinging Fly, and has enjoyed the role of writer-in-residence in many environments, including universities, schools and Farmleigh stately home. Her reviews, articles and essays have been published in the Irish Times, The Guardian, the Sunday Independent, The Stinging Fly, Architecture Ireland, Circa, Books Ireland and in a number of anthologies. As a theatre artist, she has written and devised for the stage since 1991, collaborating with Down to Earth Theatre, Carpet Theatre (BDNC), Artslab and other companies. Her theatre work has toured nationally in Ireland and travelled to the Czech Republic, Italy, Greece, France and the UK. She is currently working on a new novel.